A floral 14k rose gold wedding ring. The ring's design is uniquely delicate. Suitable for women with slender fingers. 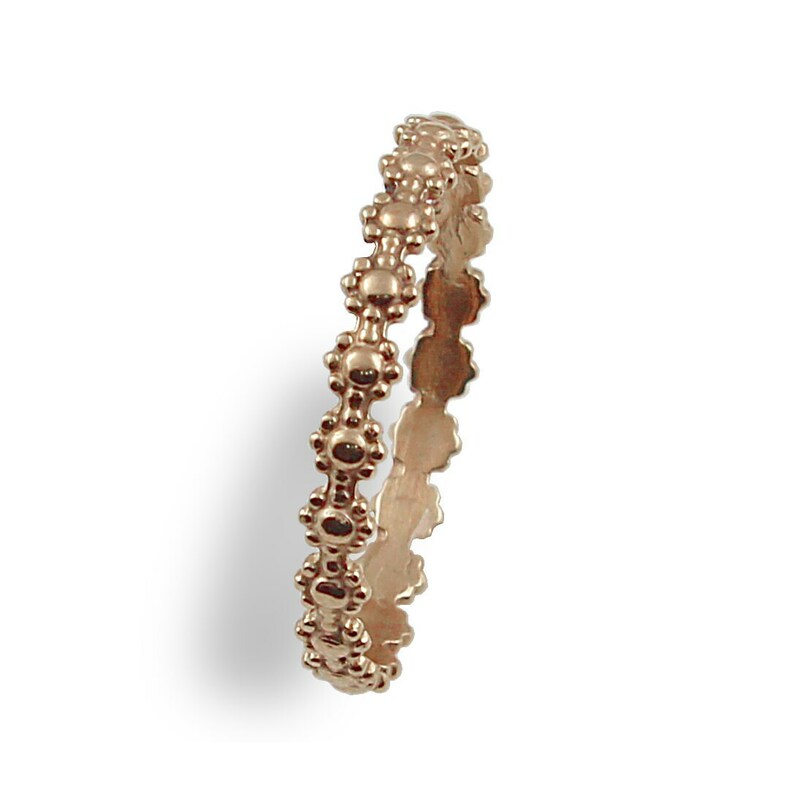 This rose gold wedding band, with a very special place flowers , is made from 14k rose gold. This ring is a great present that every woman would love to get for her birthday, anniversary, holidays and as an wedding ring. With a rose gold ring on her finger, your bride will be happier than ever! ♦ This is a MADE TO ORDER listing. Preparing time is up to 21 days until shipment. ♦ Price includes shipping by traceable registered mail.